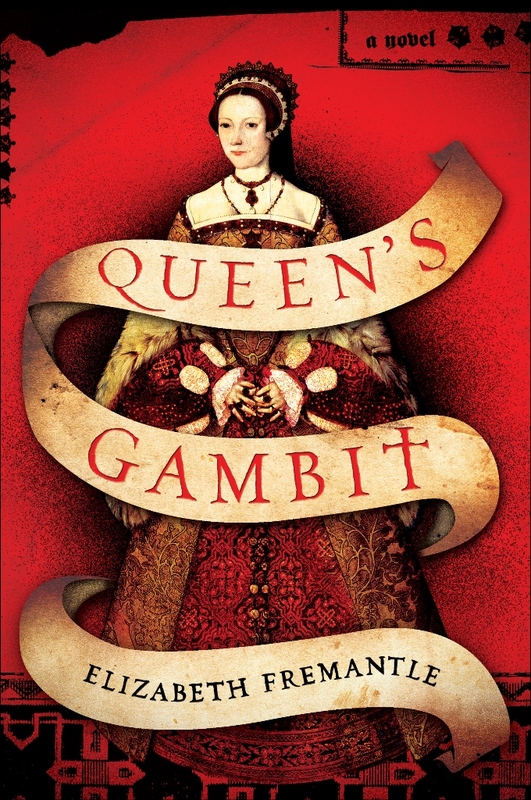 Recently, I had the pleasure of reading Queen's Gambit by Elizabeth Fremantle--an up and coming Tudor historical fiction author. I absolutely loved the book. I have a fondness for Henry VIII and his wives, unbelievable drama come to life. I eagerly gobble up any Tudor book in my path, but it is a unique author that can bring the tension, fear and treachery to life in vibrant characters. Ms. Fremantle took a unique perspective of Katherine Parr that I've not yet seen, beginning with the death of her second husband, John Neville, Baron Latimer--and the circumstances revolving around his ailment and death. It opened in Neville's point-of-view, followed by Katherine's. After the death of her husband, she is summoned to court. 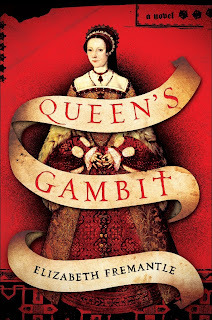 Once there, Katherine is immersed in all the political, social, strategic unrest that consumes the Tudor court. She believes she is falling for Thomas Seymour, a rogue if there every was one, but Henry, noticing their affection, sends Thomas abroad so he can court Katherine himself. And, unfortunately, who can refuse the king? Katherine grew up in court, and certainly knew her way around nobles, royals and how to navigate various factions. She did so in a way that was not only classy, but deceptively intuitive. She was able to play Henry like a cello--beautifully and magically. The author brought out Katherine's strengths, showing how she was able to overcome the domineering, volatile king. Literally, the only of his six wives to outlive him. Having now been through three husbands not of her choosing, Katherine sets out once more to satisfy herself with romantic love--with the scoundrel Thomas Seymour. She knows it, but deep inside, she so longs for love she's willing to overlook his roguish ways. After all, he is exceedingly charming, and I think he really did love her. Her end is sad, but at least we see that before she passed, she did find some measure of happiness and we are left satisfied that Ms. Fremantle did her justice in this well-researched, poignant novel. Looking forward to more from this talented author!